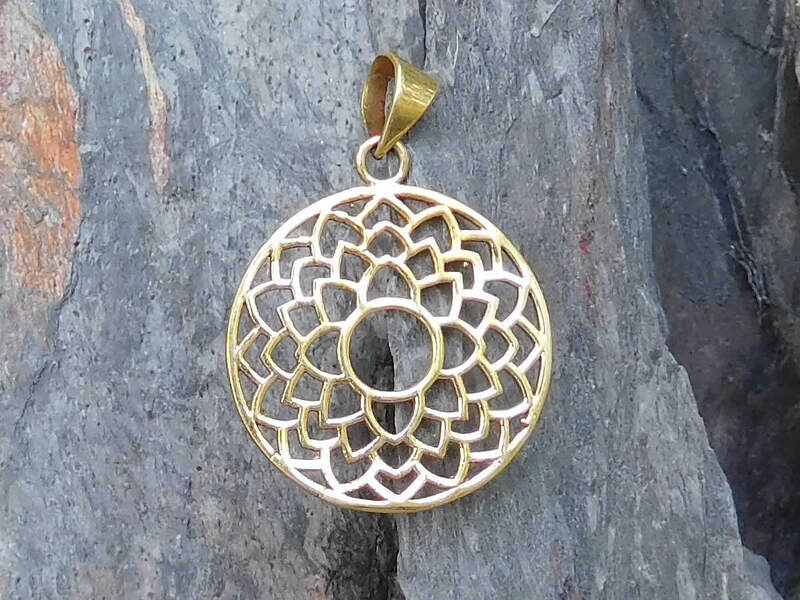 A simple but striking lattice design hand crafted pendant in solid nickel-free brass. The pattern is symbolic of the thousand petalled lotus which represents the crown chakra (sahasrara in Sanskrit). In yogic tradition the crown chakra is the gateway to pure consciousness! I cannot guarantee that this pendant will show the path to enlightenment but it is sure to attract and delight your eyes and the attention of others.